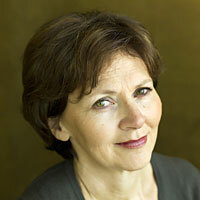 Sylvie Kauffmann is editorial director of the French newspaper Le Monde, of which she was editor-in-chief in 2010-2011. Previously, she was the deputy editor and a reporter-at-large in Asia, based in Singapore. Kauffmann joined Le Monde in 1988 as its Moscow correspondent. Next, as Eastern and Central Europe correspondent, she covered the collapse of the Soviet empire and the subsequent political and economic changes in the Eastern European countries. She then moved to the United States, first as Washington correspondent and then as New York bureau chief. She also covered the aftermath of the 9/11 attacks as reporter-at-large. Kauffmann then headed the in-depth reporting section of Le Monde.